For this week's giveaway, we've teamed up with PhoneSoap to offer MacRumors readers a chance to win a PhoneSoap 3 Smartphone UV Sanitizer. As the name suggests, the PhoneSoap is designed to eliminate all of the nasty germs on your iPhone using a UV light. 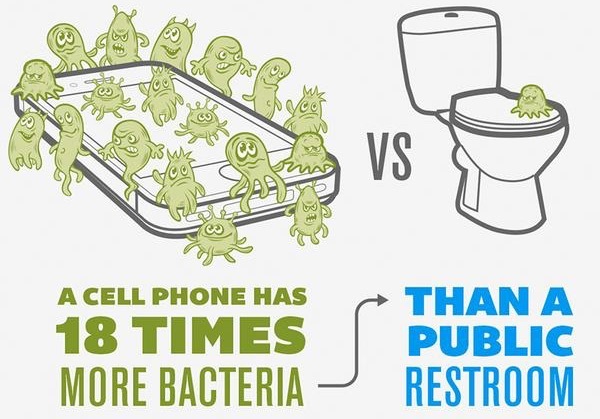 Most of us take our phones everywhere, including places rich with bacteria and other little microbes. 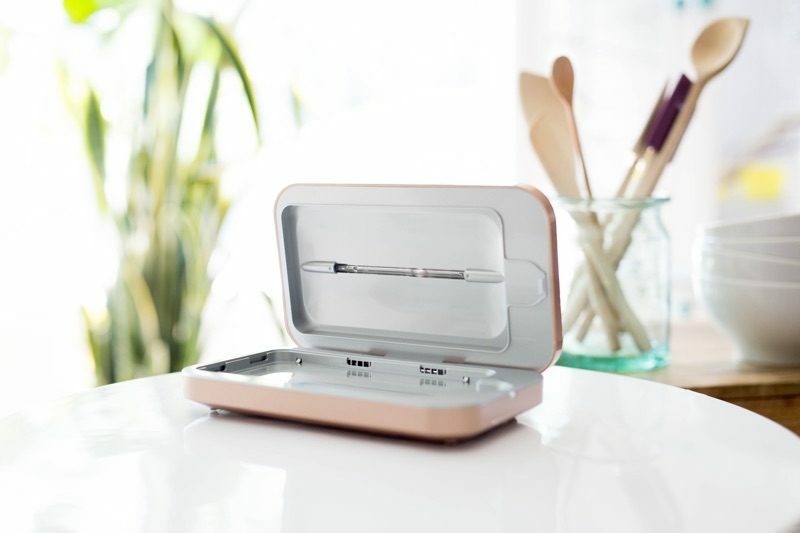 PhoneSoap says that its UV sanitizer kills 99.99 percent of all germs, and in addition to working on your iPhone, it will sanitize anything that fits inside. It's even able to kill cold and flu viruses. All you need to do is open up the PhoneSoap, tuck your iPhone inside, and leave it there at night or for just a few minutes at a time. 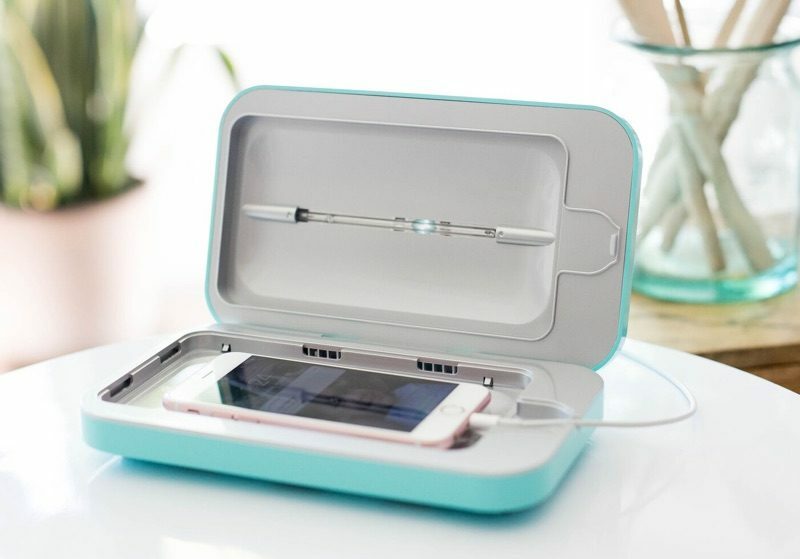 It doesn't take long to eliminate germs with a UV light, and the PhoneSoap will shut off automatically after 10 minutes so you don't need to worry about overheating or damage to your devices. 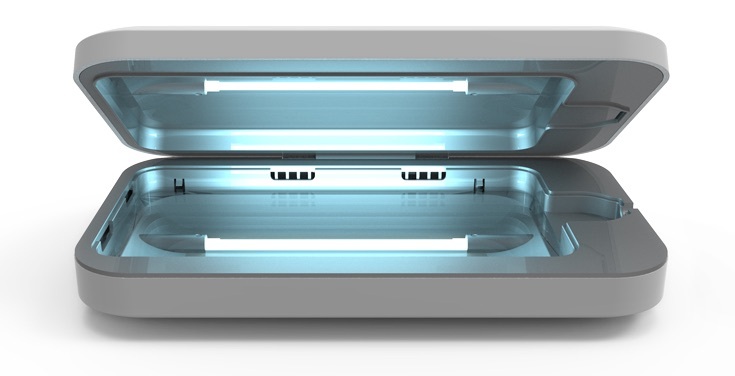 There are UV lightbulbs on both the top and bottom of the PhoneSoap to sanitize both sides of an iPhone at once, and the design is meant to get the light to tiny crevices that liquids don't reach. The PhoneSoap, priced at $60, is multipurpose, so while it's sanitizing your phone with UV light, it can also charge it thanks to two ports (USB-C and USB-A) on the side. It is big enough to fit all iPhone models, and it also works with credit cards, keys, money, and more. We have 10 of the PhoneSoaps to give away to MacRumors readers. To enter to win our giveaway, use the Rafflecopter widget below and enter an email address. Email addresses will be used solely for contact purposes to reach the winners and send the prizes. You can earn additional entries by subscribing to our weekly newsletter, subscribing to our YouTube channel, following us on Twitter, following us on Instagram, or visiting the MacRumors Facebook page. a Rafflecopter giveawayThe contest will run from today (February 1) at 11:00 a.m. Pacific Time through 11:00 a.m. Pacific Time on February 8 The winners will be chosen randomly on February 8 and will be contacted by email. The winners will have 48 hours to respond and provide a shipping address before new winners are chosen. It is big enough to fit all iPhone models, and it also works with credit cards, keys, money, and more. I was gifted one of these and didn't use it once. You can't convince me that sanitizing your phone does anything legitimate other than helping ease your mind by the fact you take your phone into the bathroom with you. Unless you wear gloves whenever you handle money or thoroughly sanitize your hands after using the ketchup on the table in a public restaurant before grabbing a fry with your bare hands... this product does very little of significance. Not to mention the fact that it's ENORMOUS! You've got to have some night stand to accommodate that monstrosity. They can’t sell them so they’re just giving them away. I would be worried that UV would destroy OLED displays at high energy density. This product exists because all the human phone sanitizers left the planet on the “b” ark. They have just gone on ahead. How about not spending any money, time, or effort on another item destined for the landfill, and simply let your immune system do what it's supposed to do. Your immune system needs regular activity, just like the rest of you, to stay in tip-top shape. Please raise awareness for our unnecessary crapware with some free giveaways. Seriously. The manufacture of every useless piece of crap like this comes with a carbon pricetag, and this will most definitely end up in a landfill sooner or later (probably sooner). Worth it when you can just you know, wipe off your g-d phone? I have colored sanitizing wipes that only only “sanitize” my phone but will also remove any gunk. Plus it’s cheaper and don’t have to worry about replacing the UV bulb. Not to mention you can just use Lysol wipes, they’re safe to use on phones and probably more effective. Be careful about using harsh chemicals on the screen. The screen has certain anti-reflective and anti-smudge coatings that can be slowly dissolved by strong solvents (like rubbing alcohol). Using it once or twice is fine, but if you make a habit of cleaning your phone often with solvents, those coatings will wear away. I put a tiny drop of dish soap onto a wrung-out wet cloth and just give the phone good wipe down every once in a while, then using a dry cloth to dry it off.